Early on in my marriage after my husband and I combined our finances, I had trouble figuring out where all of our money was going. We didn’t have many bills and our paychecks should’ve been able to cover them with money left over for savings. Far from growing our savings account, we barely had enough to cover the bills each month. We decided we needed a budget. 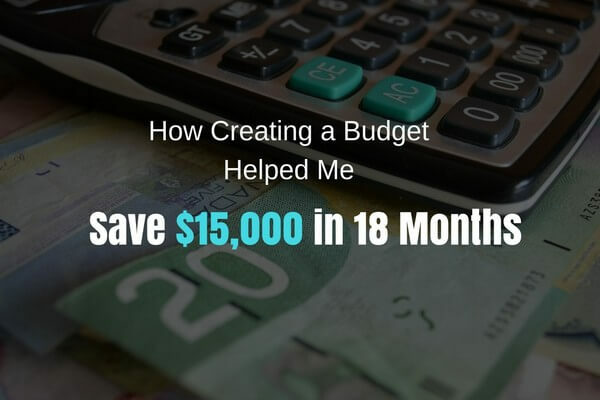 After creating a budget and sticking to it, my husband and I were able to save over $15,000 in 18 months. We’ve saved over $40,000 in the last five years. Of course, a lot of that savings had to be spent. We’ve been through periods of unemployment, car emergencies, my unpaid maternity leave and many other financial struggles. Building savings into our budget allowed us to survive these financial hardships without ever going into debt. Where Was Our Money Going? When I created our budget, I was working at a mid-sized OB/GYN clinic in the Accounts Payable department. Part of my job was to track the income and expenses of the clinic. I decided to put these accounting skills to use at home. I created a budget spreadsheet with categories for different types of expenses. For example, I had categories for rent, groceries, utilities, car payments, and other essential bills. I also had categories for non-essential spending like meals out and entertainment. I made an additional category for deposits to track how much money we brought in each month from our paychecks. There was also a total column that added up all expenses so I could easily compare them to the deposited income. Each month I went through our credit card and bank statements line by line and entered each expense into my budget spreadsheet. Any cash expense was also added based on receipts. Within a short period of time, I could see our patterns of spending. My husband liked to stop at a convenience store on his way to work and pick up a snack or a soft drink. I liked to browse the new release books and pick up a few every time I went to the store. When all of our tiny purchases were entered into a spreadsheet it was easy to see how quickly they added up to big spending. For us, becoming aware of the areas we overspent was a huge revelation. This made us more conscious of our spending and helped keep it in check. We decided to set a limit on how much money we each could spend on unnecessary fun items each month and stuck to it. Each category on the budget spreadsheet had its own budgeted amount. The total of these smaller budgets was our entire budget for the month. While it was important to watch the smaller totals, I mainly kept my eye on the overall monthly budget. If we overspent in one category, I would try to limit spending in another so our monthly budget was still on target. If you go over your budget for the month, take a look at next month and see if there are places you can cut back to stay on budget over the two months. There is nothing I find more comforting than a savings account with enough money to fall back on for nearly any emergency. The way I add to our savings has evolved over the years as our needs and income have changed. But it all started by sticking to our budget. I have two types of savings goals. The first and most important for my family is our emergency savings. We’ve been through medical emergencies, job losses, car engine blow-ups, and survived it all financially because we had emergency savings to keep us afloat. Experts recommend having six months of living expenses set aside for emergencies. Six months of living expenses is a huge amount and there have been lots of times we didn’t have it. For us, having three months has been a more realistic goal, and we build it beyond that whenever we can. We’ve saved for a down payment on a car, a big vacation, and we are currently saving for a house down payment. Saving for a major purchase should come after your emergency savings is at a comfortably high level. If you’re a person that struggles to add to savings each month, the easiest thing to do is build your savings amount right into the budget. Create a column in your budget for savings and set an amount you will move directly to your savings account at the start of each month. Start with a small amount until you’re sure it’s an amount you can spare from regular expenses. But make it something. It is motivating to watch that savings account build. 2. Put All Your Extra Money in Savings! If you’re income greatly exceeds your expenses, well, then lucky you! The simplest way I’ve found to maximize savings, in this case, is to compare your income to your expenses at the end of the month and move 75% of the surplus into your savings account. 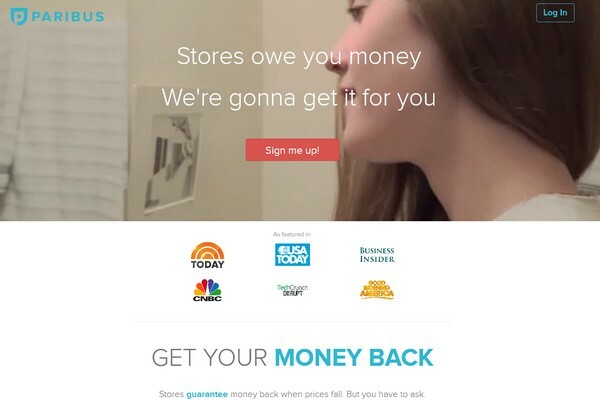 In this great Money Pantry article, How I Saved $10K in Less Than a Year, Tara Bosler talks about transferring all money into savings after paying bills. I love the idea of transferring all of your money into savings after paying bills. But it isn’t something we could commit to. Because our income fluctuates each month, my husband and I settled on transferring 75% of any extra money and leaving a little extra in our main account in case our income goes down the next month. Another simple way to build savings is to at the end of each month take 10% of your income and move it into savings. If 10% is too much, settle on something smaller. This can work better than a set amount if your income fluctuates. I’ve been using the same budgeting spreadsheet for over six years. But it looks a lot different now than the first month of budgeting. A useful budget is able to change along with you and your family. When you’re anticipating a major life change or expense, or one happens you weren’t expecting, make sure you review your budget to make sure it still works for your family needs. When we welcomed our first child my husband and I found ourselves in the not unique position of new parents of having more expenses and less income. Like many new moms, I had an unpaid maternity leave and returned to work at a reduced schedule once I went back. Along with our baby came medical expenses for her and me, expenses for diapers, wipes, baby bottles, and feeding supplies, clothes, and a hundred other things babies need. We had to afford all of these new expenses on a reduced income. The rules of budgeting and saving don’t change when your expenses go up or your income goes down. The money has to come from somewhere. When our baby arrived, I created new categories in the budget for her needs and expenses. The budget for those categories had to be subtracted from the budget for others. For us, entertainment and meals out were the first things to be trimmed. And I kept going until I could fit our expenses into our new income constraints. We were lucky to have money in savings for the times we couldn’t squeeze enough money out of our budget. But every time we took money out of savings, we had to work hard to build it back up. Should Your Budget Grow When Your Income Grows? This is a complicated question but boils down to how much your income actually grew. Your first priority with increased income should be to pay off any debt and then build that emergency savings account. Once you’ve accomplished those goals, if you still have extra money each month, consider saving for a special purchase. If you still have a surplus, then slowly add money to your budget categories until you find the sweet spot where you’re enjoying the fruits of your labor and still able to save. My husband and I have a bad habit of getting more comfortable spending when we know we have a surplus of money. Then when an unexpected expense comes along, we’re back where we started, with nothing to show for our additional income. Sticking to our budget and expanding it slowly has helped keep this tendency in check. Neither my husband or I am a natural penny pincher. If you struggle with putting money into savings each month, consider creating a budget to help you find areas to cut back and save. Try different strategies until you find a way to add to that emergency fund or save for that big purchase. It’s well worth it in the end. While I am proud of us for saving $15,000 in 18 months, I am more proud that we continued to save beyond our initial goals and continue to set aside money each month. Creating a budget is what helped us do that. And I hope it can do the same for you. Guest Writer Bio: Elizabeth Voyles (@evoyleswrites) is a freelance writer and blogger specializing in family finances, work-at-home life, and parenting. In between writing gigs, Elizabeth enjoys playtime with her two young daughters, binge watching shows on Netflix and reading trashy romance novels.